Every year, as darkness sweeps the globe, thousands of people in 50 cities will pull on their running shoes and hit the streets to Run in the Dark. 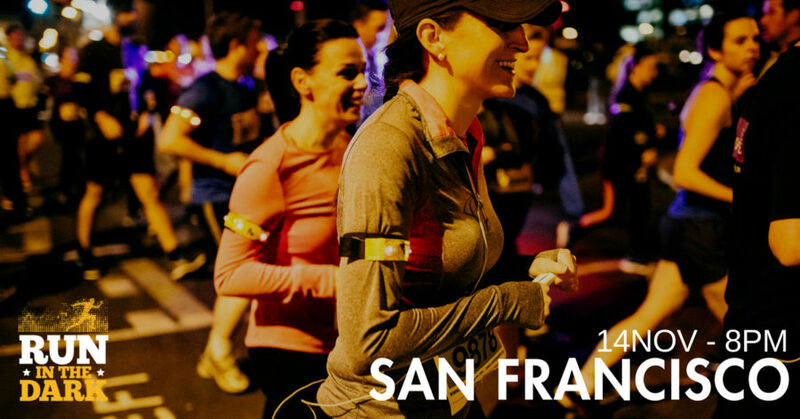 The San Francisco run takes place on 14th November at 8pm, starting at the HiDive Bar. Run in the Dark is organized by the Mark Pollock Trust, named after blind Irish adventure athlete Mark Pollock. Unbroken by blindness in 1998, Mark Pollock suffered a catastrophic spinal cord injury in 2010 when he fell from a second story window that left him paralyzed. As Mark strives to walk again, his most complex journey is ahead of him – to find a cure for paralysis. By taking part in Run in the Dark you are enabling ground-breaking collaborations and research which could change the lives of millions of paralyzed people around the world.